**DISCLAIMER: The Currency Calculator/Converter is based on mid-market exchange rates (a mid point between the Buy and Sell Rate) and as such are only indications of our actual buy or sell rates. Exchange rates will vary and should not be used as a direct representation of current Continental Currency Exchange rates. For current exchange rates, please call or visit your nearest Continental branch or visit FXtoGO at order.continentalcurrency.ca to order your currency online. 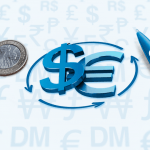 Convert over 160 different currencies immediately with our foreign Currency Calculator. Check the latest exchange rates before you buy, or see just how much you’re paying for that pasta meal in Italy! Best of all, it’s completely FREE! No matter what direction you’re heading, our Currency Calculator can help you plan and track your spending with the most up to date exchange rates. It’s just one of many ways Continental Currency Exchange is making travel easier and more affordable than ever. All you have to do is select the currency you have and choose the currency you want, enter the amount you have (or need), and you’re good to go! 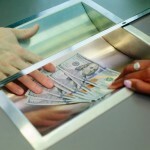 GET CASH TO GO – ORDER YOUR CURRENCY ONLINE!